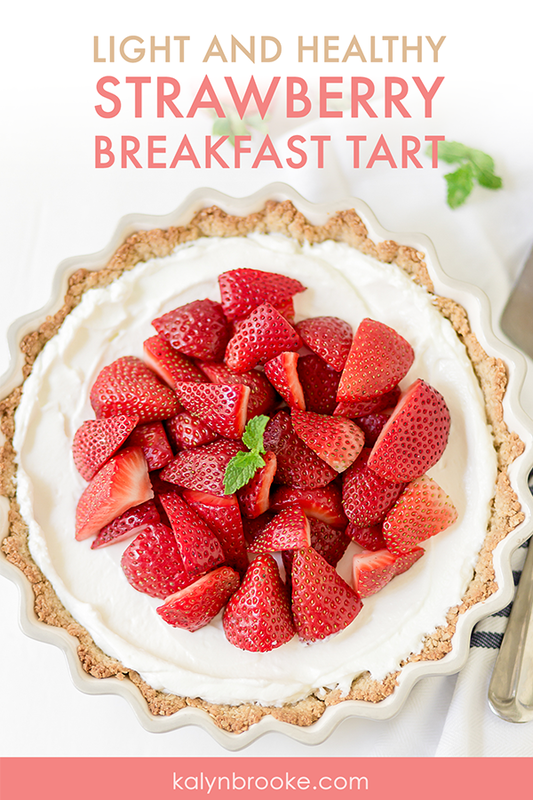 This quick strawberry tart packs all the flavor–with a lot less sugar! Plus, you can prepare the crust ahead of time, making this impressive dish easy enough to serve at Summer parties or a mid-morning brunch. 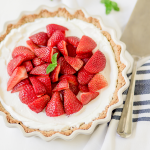 Most strawberry tarts feature a floury, buttery crust with a mixture of cool whip, cream cheese, and a whole lot of sugar oozing underneath those beautiful bright red strawberries. These strawberry tarts also taste quite heavenly…but are SO not helpful to this now 30-year old's waistline! 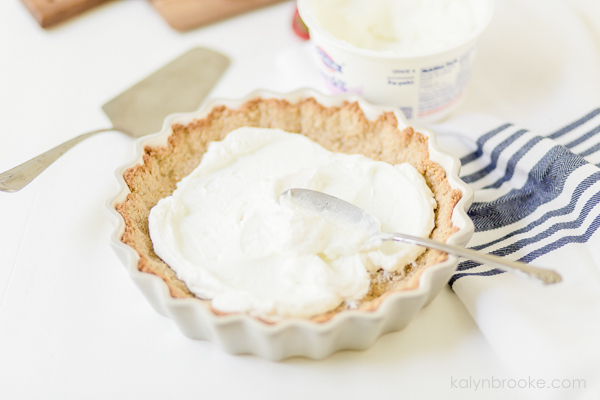 So I went searching for a lighter alternative for a quick strawberry tart recipe with just as much flavor, without packing on extra inches. With a bit of maple syrup for sweetness, hearty oats, and good-for-you Greek yogurt, you won't feel guilty indulging in this recipe for breakfast, a light snack, or healthy dessert. 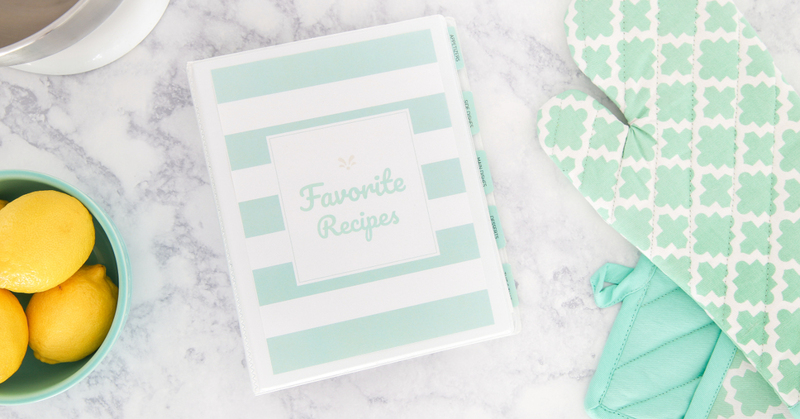 It would also make a lovely presentation for a Mother's Day or shower brunch! 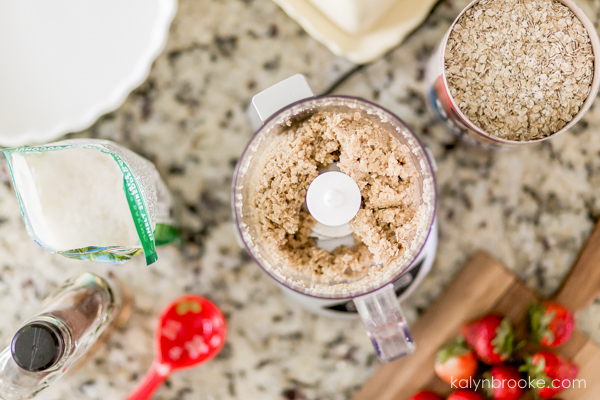 Step 2: Place oats, sunflower seeds (optional), and coconut in a food processor and pulse until finely ground. Step 3: Place butter, salt, and maple syrup in a small bowl and microwave in 15-sec increments until butter melts. Add to oat mixture and pulse until coarse crumbs form. Step 4: Press oat and butter mixture into bottom and up the sides of the pan. Bake until golden brown and dry (about 12-15 min.). Let cool on a wire rack. Step 5: Spread yogurt on top of the crust. Place strawberries on top. Serve immediately. Voila! 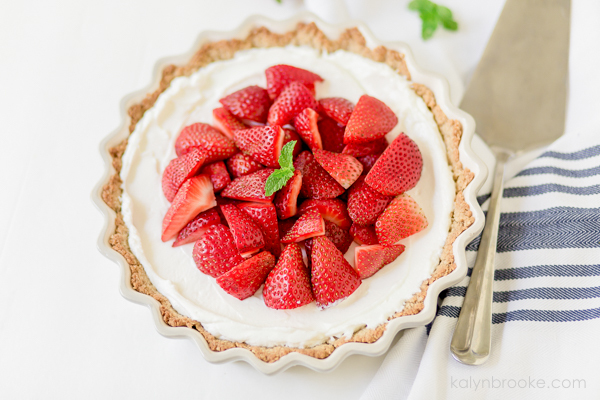 A quick strawberry tart of your very own! Preheat oven to 375 degrees. 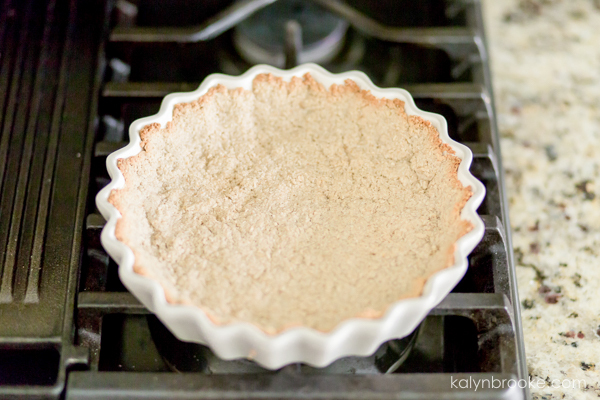 Coat an 8″ tart pan with cooking spray or butter. 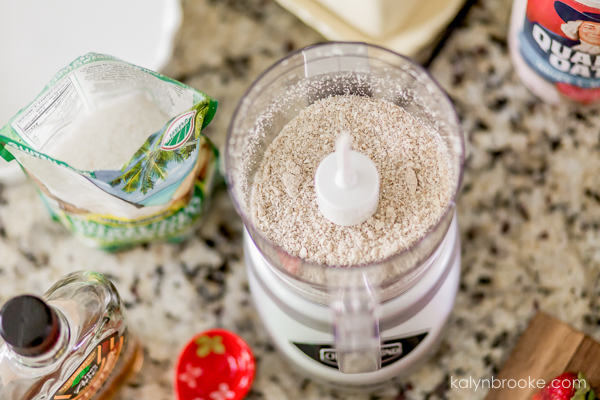 Place oats, seeds, and coconut in a food processor and pulse until finely ground. Place butter, salt, and 2tbsp maple syrup in a small bowl and microwave in 15-sec increments until butter melts. Add to oat mixture and pulse until coarse crumbs form. Press oat and butter mixture into bottom and up the sides of the pan. Bake until golden brown and dry (about 12-15 min.). Let cool on a wire rack. Spread yogurt on top of the crust. Place strawberries on top. Serve immediately. Freezer Cooking Tip: The crust freezes really well too, so double up and bake some extras to put in freezer tight bags. Pull out to thaw before bed and you can top it with yogurt and strawberries in the morning for a quick, but healthy breakfast!